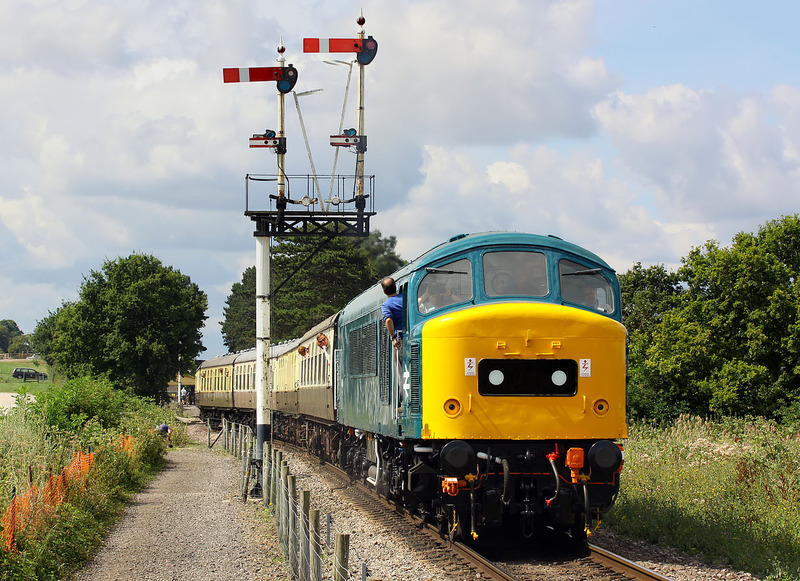 45149 slowly pulls away from Cheltenham Racecourse Station on 27 July 2014 with the 2L64 11:30 Cheltenham Racecourse to Laverton service, during the Gloucestershire Warwickshire Railway's Diesel Gala. The Peak made its debut on the line at the previous year's gala, albeit in undercoat. This year it is gleaming in freshly applied BR blue.